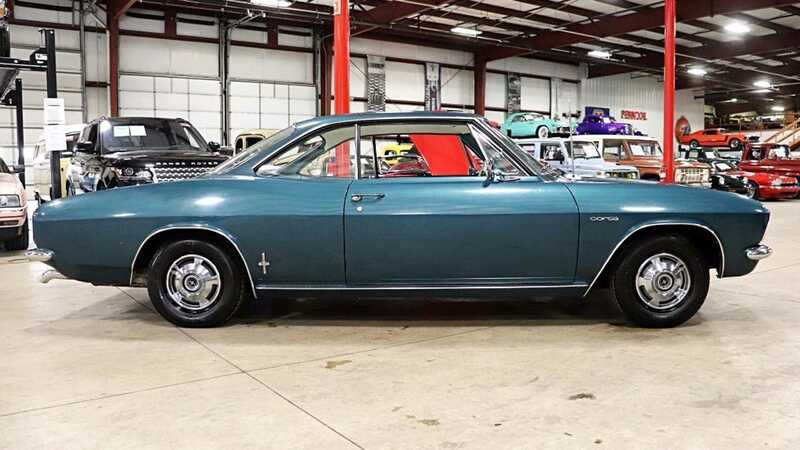 Corvairs are unique enough alone, but this particular one is a special find! 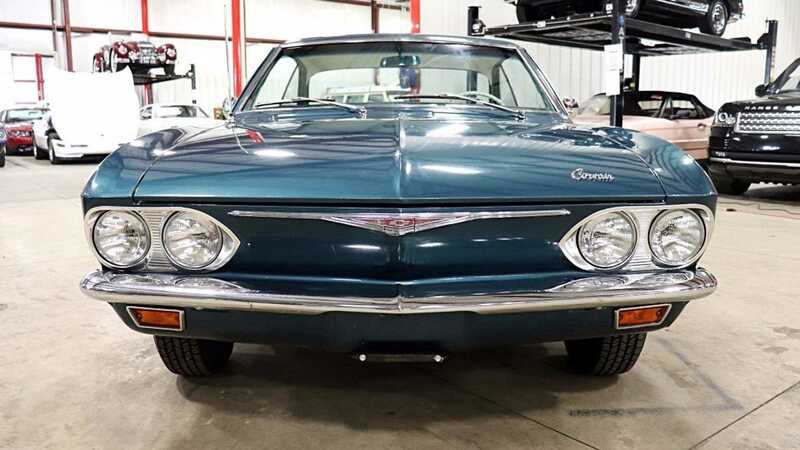 As imports from Europe showed a demand for smaller more fuel efficient cars had risen in the U.S. market during the ‘50s, Chevy’s response was the Corvair. 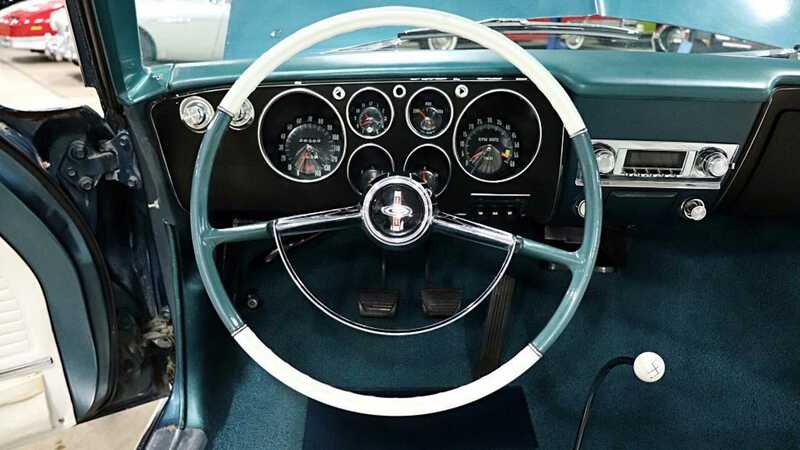 A car that, although was originally perceived as under powered with bad handling characteristics, was a ground breaking car of its time. 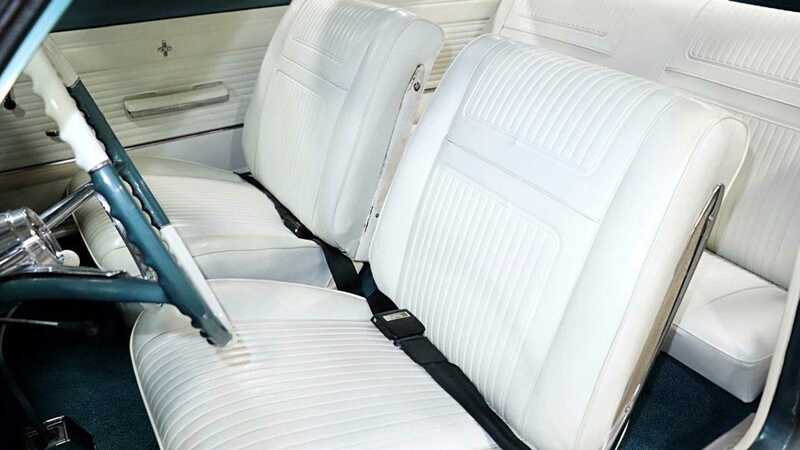 It was the only American designed, mass-produced passenger car with a rear mounted, air-cooled engine, the first unibody produced by Fisher Body, and it featured a unique take on a Quadri-Flex independent suspension. 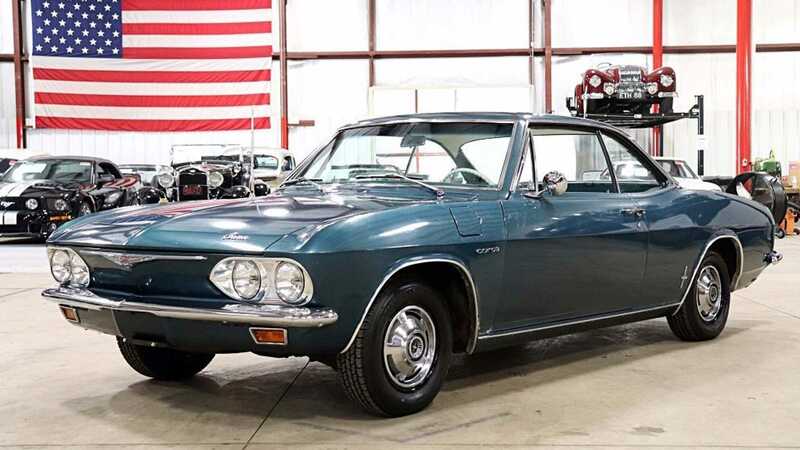 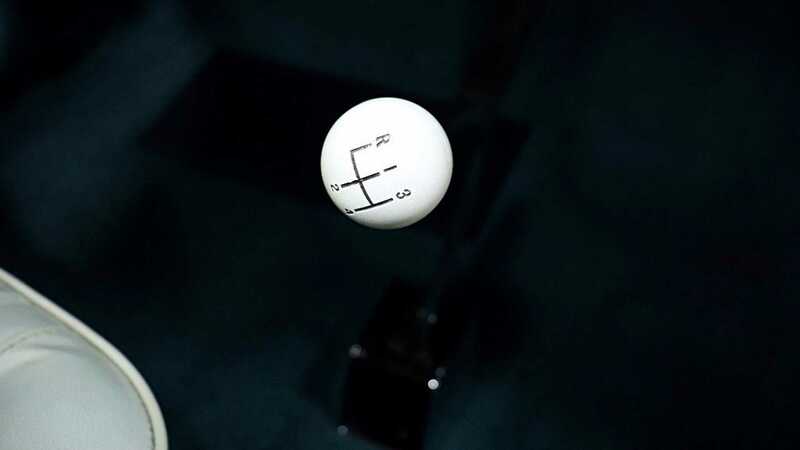 By its second generation that began in 1965, the Corvair received a revitalizing face lift as well as a Corvette inspired independent suspension and a new model called the Corsa. 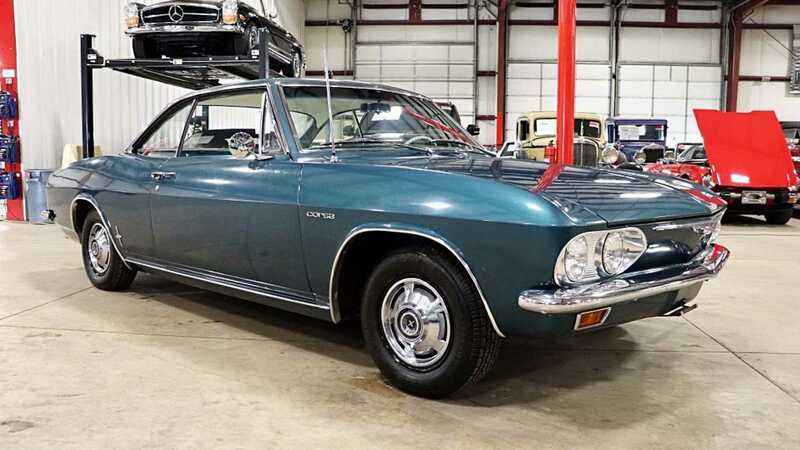 The options available for the Corsa included a 180-horsepower turbo charged engine, 4-speed manual transmission, and other significant chassis refinements making it one of the most sought after Corvairs ever. 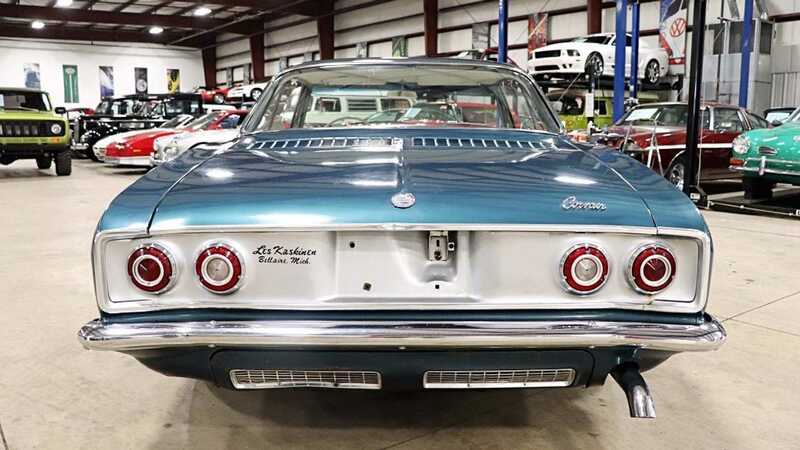 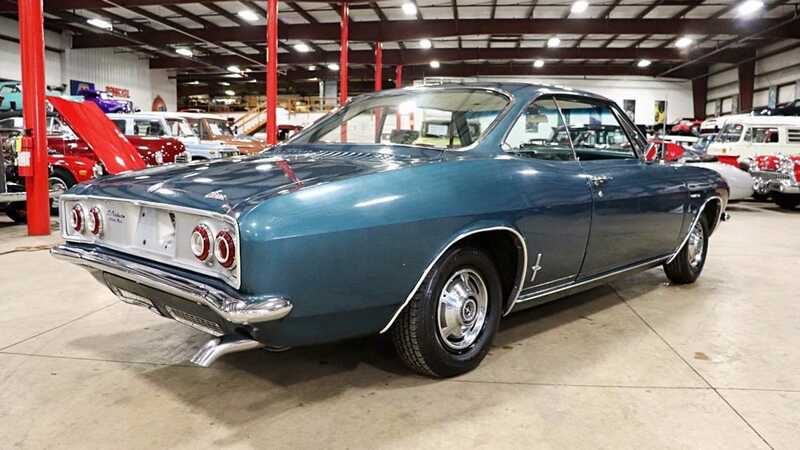 GR Auto Gallery is now offering Corvair enthusiasts, and automobile collectors, a rare opportunity to own one of these fantastic cars in its original form. 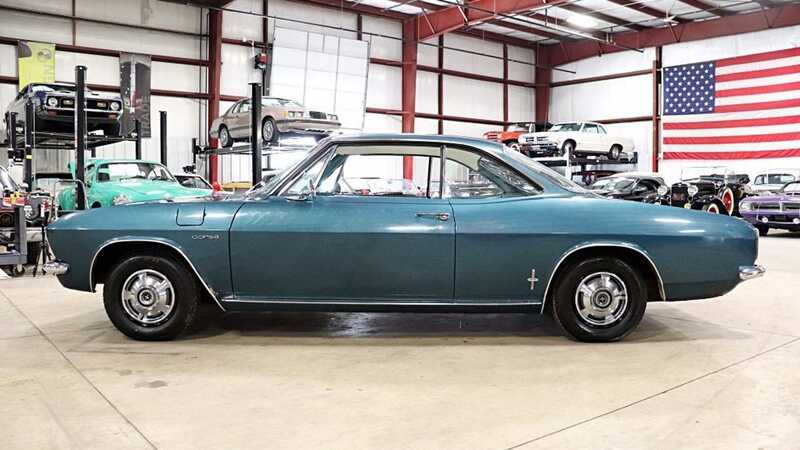 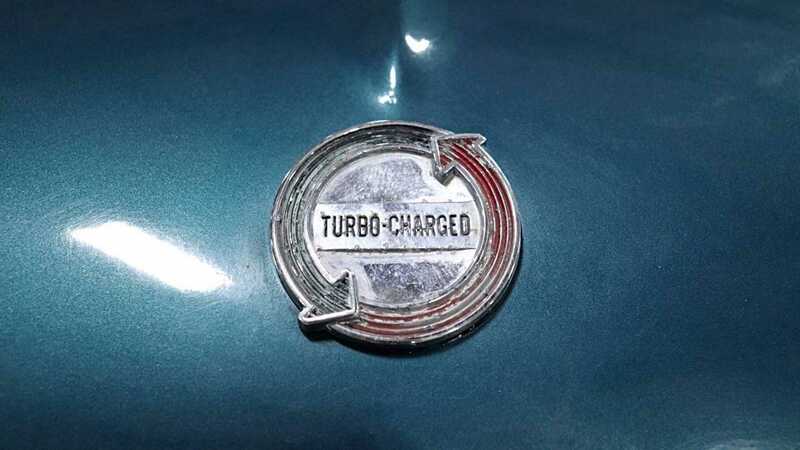 This 1965 Corvair Corsa Turbo Coupe has been owned by the same family for over 40 years and was just recovered from a barn where it has spent the last 30 years. 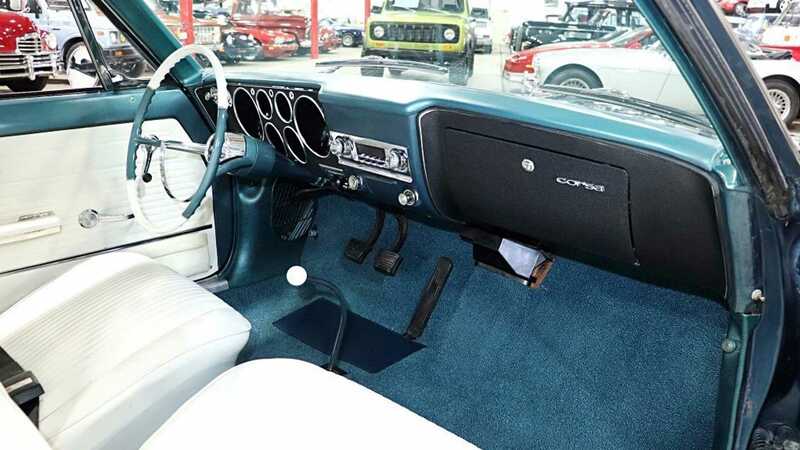 It features the original dash, gauges, seats and upholstery and only has 25,389 miles on the odometer. 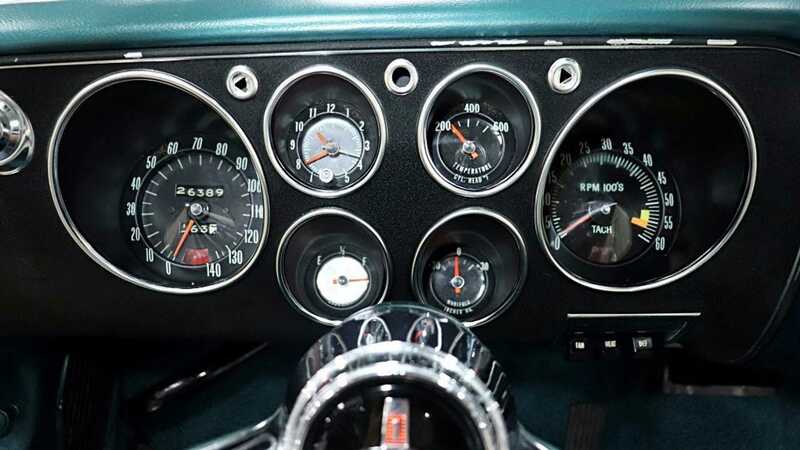 Not only is the car highly original and mechanically sound, it also comes fully documented. 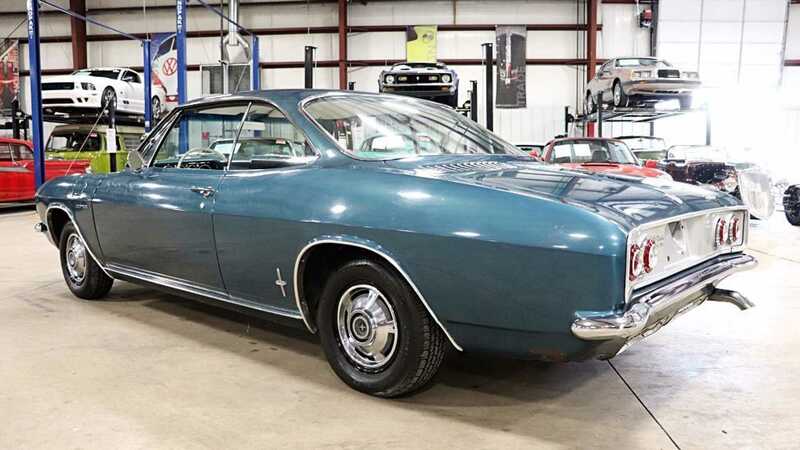 The only area of concern on this very solid car is some scale on the hard steel components, the rear lower fenders, and the front and rear valance. 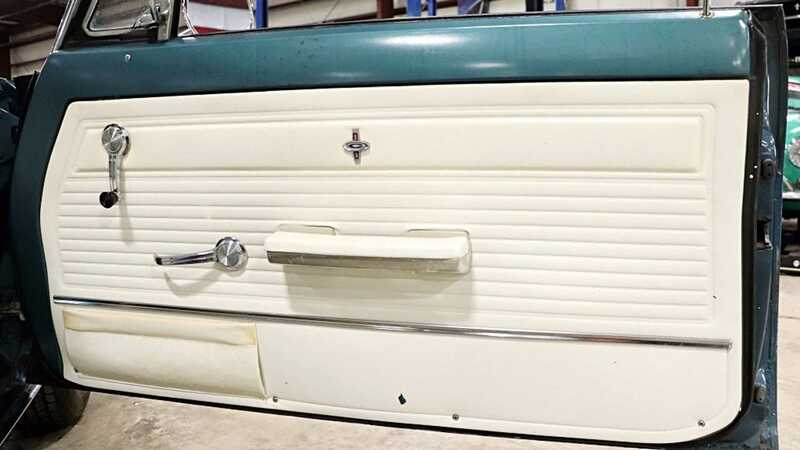 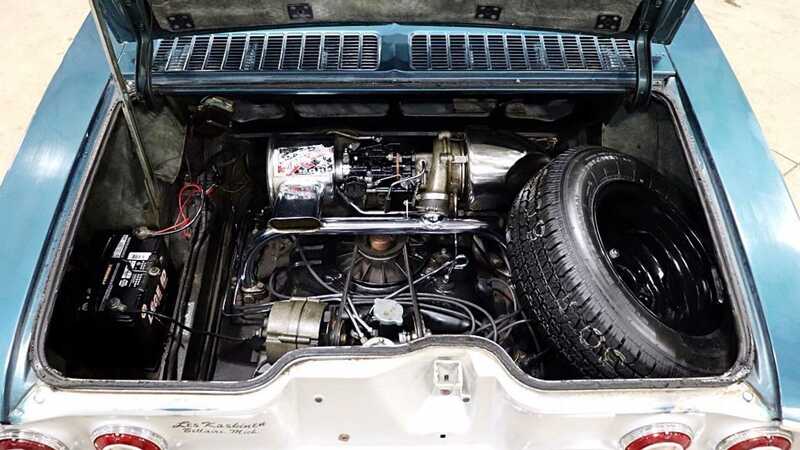 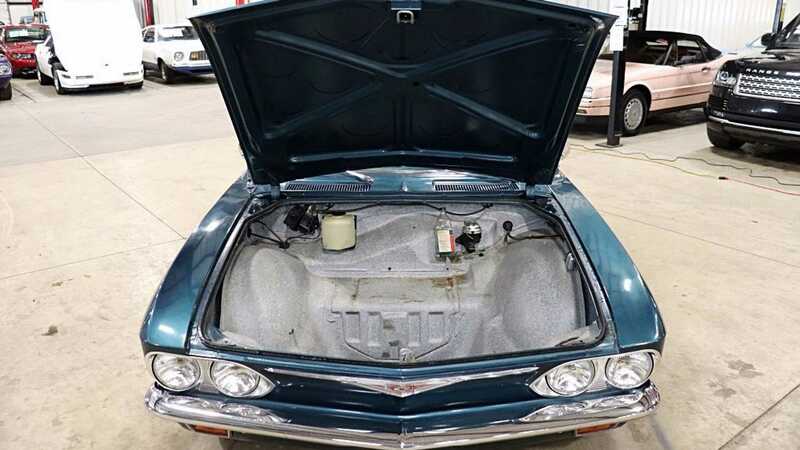 These very minor issues could easily be taken care of with a very targeted restoration and at a price point of just under $15,000 this seems like a steal for a Corvair enthusiast with an eye out for a future automotive investment. 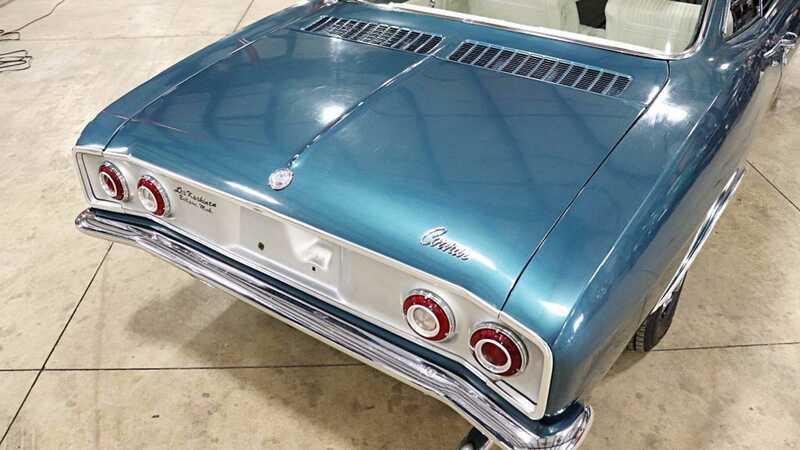 For more information on this listing click the link here.